As a community hub, we provide a welcoming environment for several local groups. Click here for our current timetable. This is a close knit group of women who come together to create beautiful artwork in the Persian style. For more information, please contact 01382 860929. 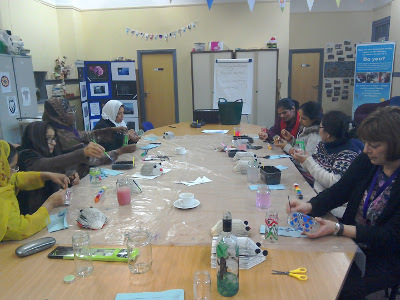 Another group organised by the Highwayman, the mosaic class is suitable for adults of all abilities. The work created in this class is stunning and they enjoy a good chat whilst working. For more information, contact 01382 435872.